Last Saturday, my friend and I got an opportunity to visit Kikopey, a little-known place between Naivasha and Nakuru and had the experience of a lifetime that led to the unearthing of an immense unutilized potential in this small area. 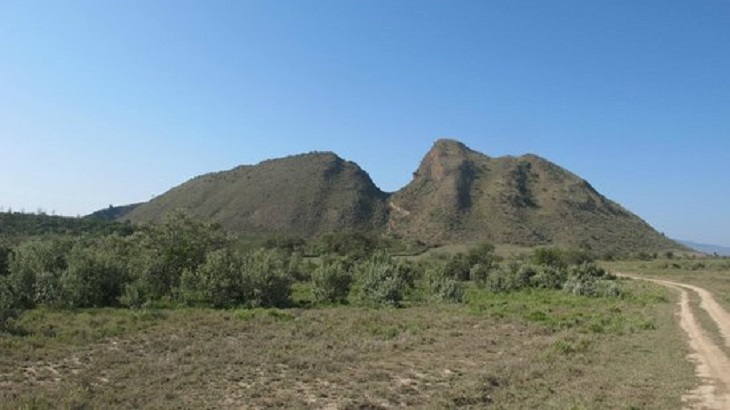 The place we landed is known as Kikopey Ridge, lying right at the foot of two hills facing each other. Those familiar with the area call the two hills The Sleeping Warrior; and, indeed, they are the sleeping warriors from the way they look. From a distance, they resemble two giants, deep in slumber who can roar back to life anytime if provoked. The two “warriors” stand 2 meters apart with a ridge cutting across. The hill on the right lies with the expansive land belonging to Lord Delamere, the man who owns almost half of Nakuru County. In fact, the hill in his land is known as the Delamere’s nose and it is always under watch for any “excited local tourist” who might be tempted to move up the hill without permission. The whole of Kikopey region is a perfect place for setting up camps and various vacationing activities. Beneath the dusty roads still under construction and beyond the sleeping warriors as well as within the partially dry bushes, there lies a virgin economic treasure that only awaits exploitation. “Kikopey is the next economic hub. This area is the most suitable for both residential and business purposes. In fact, this is the place where a clever investor can set up a holiday home,” ”aid Brian Gacari, the Chief Executive Officer at Property Reality Company. Mr. Gacari was right. The area at best is suited for a holiday home and there are amazing reasons why. To have a better view of the area and to put the words of Mr. Gacari into perspective, my friend and I managed to reach the top of one of the “sleeping warrior”. From the top of this hill, one gets an amazing feel of Mother Nature that most only get to see on their television screens. The panoramic view, the distant hills, and valleys are a sight to behold. Just at the foot of the hill, lies a flat land, the Kikopey Ridge, that has been divided into a total of 300 plots, all of them sold by Property Reality to various investors who want to ‘economically utilize’ the area. “I just want to put up a holiday home. I also want to put up a place where my family and I will be coming to chill out from the noisy life of the city,” said Jennifer, one of the investors with PRC. Atop the hill, just after the Kikopey Ridge, in the horizon, lies the beautiful scenery of Lake Elementaita. The lake is another hotspot that has never been exploited for economic purposes. “Imagine owning a piece of Kikopey that overlooks the lake and become a pioneer in utilizing the lake for economic purposes. Imagine introducing board riding activities and cater for thousands of students and other tourists coming in this area,” said Mr. Gacari. The picturesque view of the region, the strategic location, the abundance of natural resources and the unlimited potential of what investors can introduce in the region are some of the reasons why anyone looking to buy land shouldn’t pass up Kikopey Ridge. You thought it was only in Mombasa where you can kayak and have fun in the water world; well, Kikopey Ridge in two years’ time will attract both international and local tourists. By identifying the potentiality of the region and offering investors discounts through plot purchases at Kikopey Ridge, PRC is evidently the best partner in addressing the hassle you finding a perfect economic hotspot. While the first batch of plots at Kikopey 1, as identified by PRC – have been sold out, there are hundreds of more plots at Kikopey 2 at the foot of the Sleeping Warrior that offers another remarkable view all the way to the distant hills of Mt. Longonot and some parts of Suswa. The plots are on sale and some of them were booked on the same day of the issuance of title deeds for Kikopey 1. The best part is that you can book your plot for as little as 50,000 shillings with the balance to be paid in installments of cash as per PRC’s agreement. Clearly, there is nothing holding you back from owning your dream home at Kikopey Ridge, quiet place away from the cacophony of noises in the city.